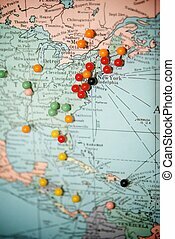 Travel destination map push pins blur. 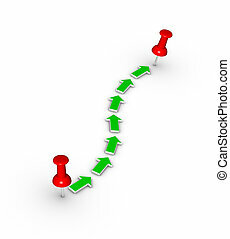 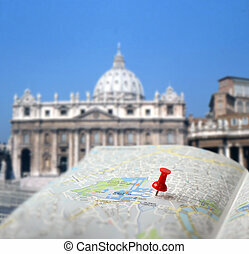 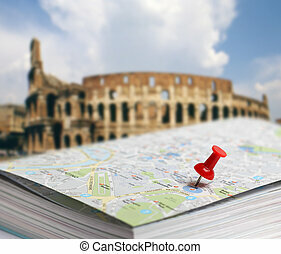 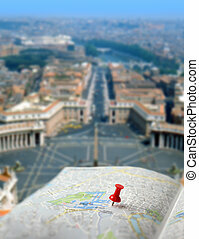 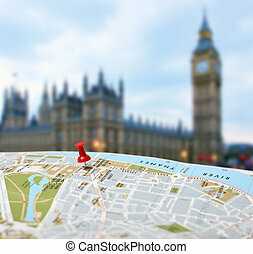 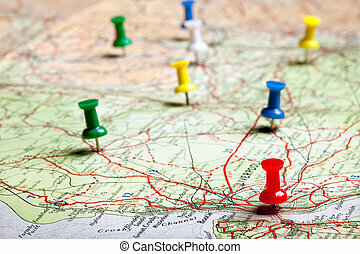 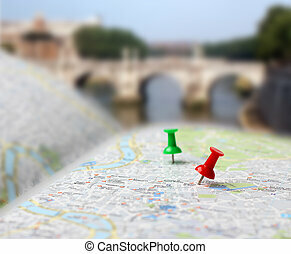 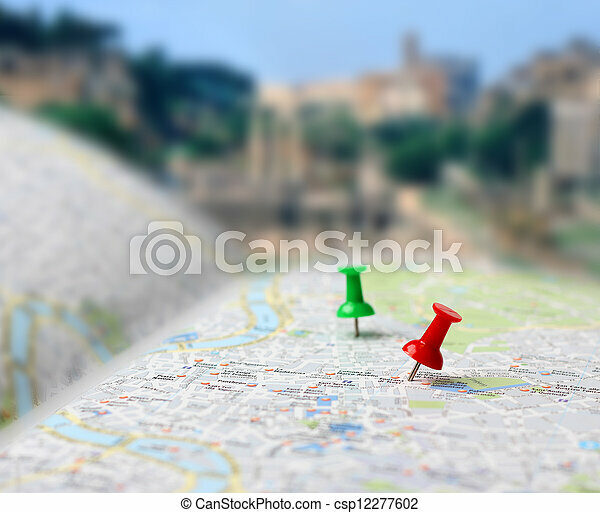 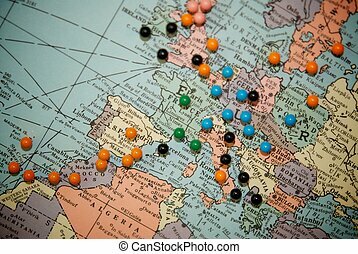 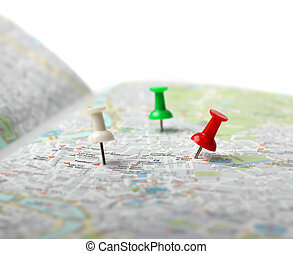 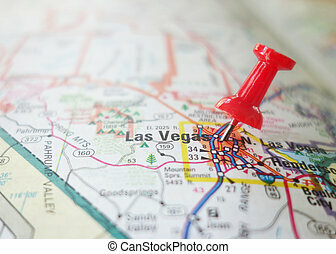 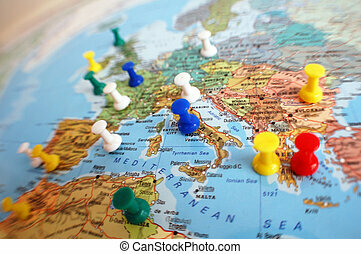 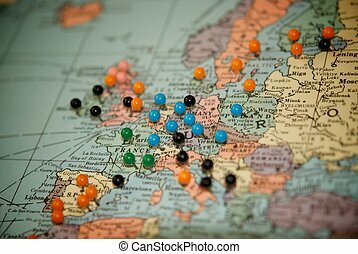 Push pins pointing planned travel destinations on tourist map, blurred background. 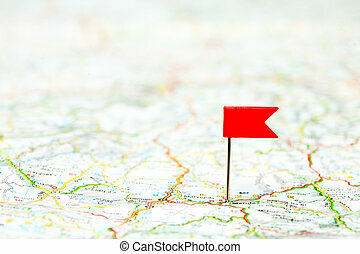 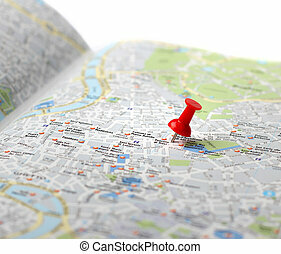 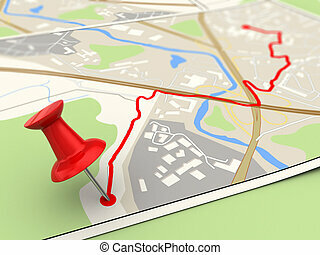 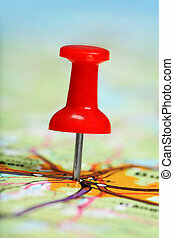 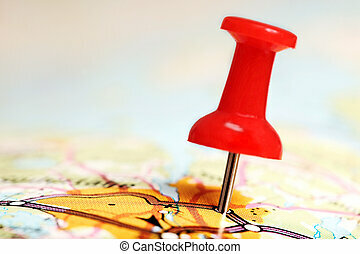 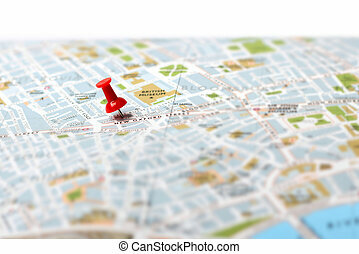 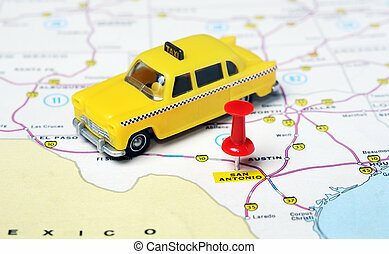 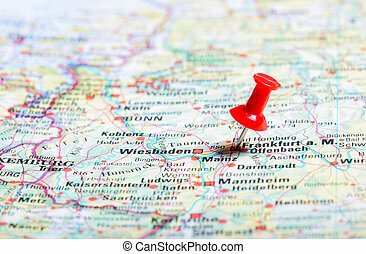 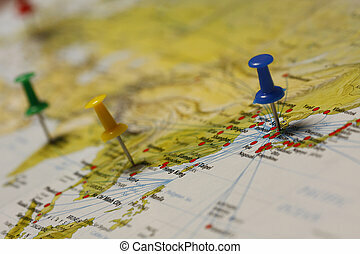 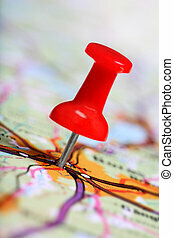 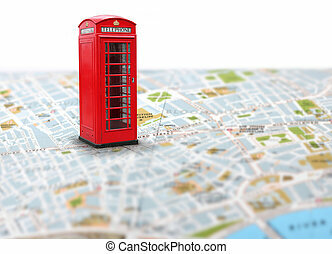 A push pin is inserted on a travel destination of a map.